Missions were first established by the Spanish to convert the Indians to Christianity. 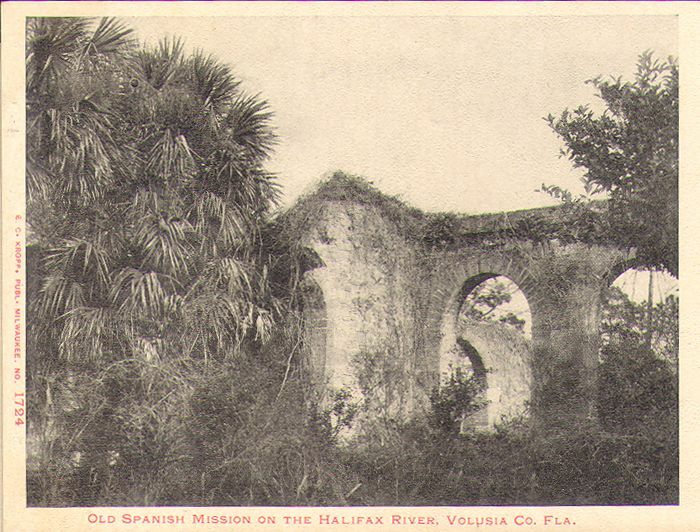 Florida's missions were begun during the mid 16th Century. The Spanish claimed much of the Souteastern United States and also used these missions to control the area, keeping out colonization from France and England principally. The main area they wished to claim was Florida and southern Georgia . The first recorded attempt to build a mission was in the Tampa Bay area in 1549 but it met with almost immediate failure when Father Luis de Cancer was killed at the hands of the Tocobaga natives. The first successful mission was begun in St. Augustine in 1565. There were 10 prescidios which were fortified bases established between 1565 and 1567 at major harbors. Most of them were unsustainable. By 1573 there were only two left. St. Augustine and Santa Elena. Apalachee eastern part of the Florida Panhandle. Timcua from the St. Johns river westward to the Suwannee River. Guale North of the Altamaha River along the coast to the Georgia Sea Islands.